Did you ever wonder how to build a roof? Well, there's more to it than meets the eye, especially when it is built in compliance with updated building codes that promote energy efficiency. 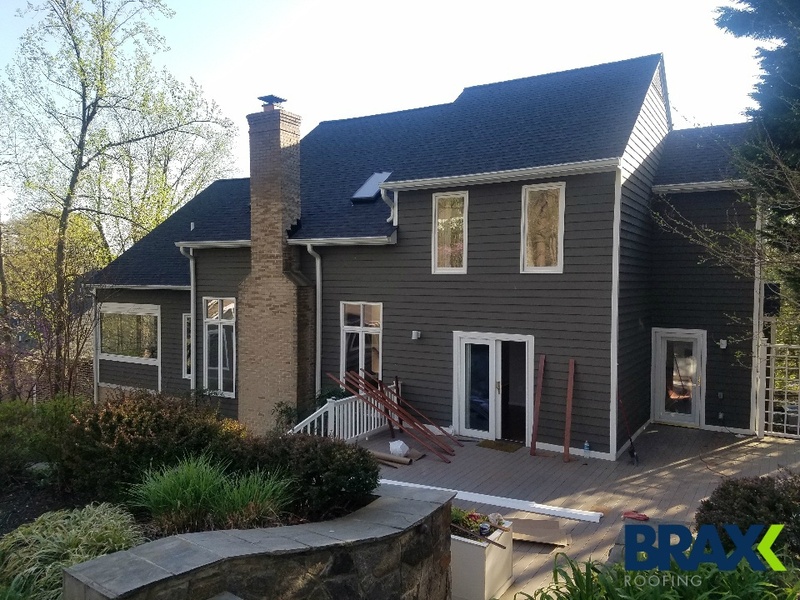 The asphalt shingles you see on the majority of residential roofs in the DMV are only the outermost layer of a precisely engineered roof system consisting of carefully integrated components that meet vital needs. When your roof sustains wind damage, expert analysis is vital. Only an experienced, certified roof inspector is qualified to distinguish the damaged parts of your roof from those that remain intact. You don't want to pay for unnecessary repairs, but you also don't want damaged areas to escape detection. For most people, the first thing that comes to mind when the subject of skylights comes up is "natural light" - daylight that is abundant and free! The first brand that typically comes to mind is Velux, a name that's virtually synonymous with skylights. Filing a Roofing Insurance Claim: How Does the Insurance Process Work? It's enough of a headache to have storm damage to your roof. Will more damage occur before you can get the roof replaced? Will leaks cause structural issues that impact the rest of your home? How will your belongings be impacted? But add in the stress of working with your insurance company to make a roofing insurance claim and your blood pressure may just jump through the roof. The extreme durability and sustained good look of a fiber cement siding like James Hardie make it a great choice in this part of the country. As This Old House puts it, "It masquerades as wood or masonry, wears like concrete, and survives even the harshest elements." It is estimated that about 15 percent of all new homes are clad with fiber cement siding. No matter where you live, inclement weather can strike at any time, sometimes unexpectedly. While you might think of wind as being the worst type of weather for roofing, hail can cause even worse damage. This is especially the case if you live on the U.S. East Coast like Washington, D.C., Virginia, or Maryland. All of these states continue to have rough winters,often with occasional hailstorms. most residential roofs in the Mid-Atlantic are designed and installed so they'll withstand the weather extremes common to the area, roof damage can still occur. Hurricane-force winds, falling branches, large hail and heavy snow accumulations all threaten the integrity of residential roof systems in this part of the country. should i contact my insurance company for damage to my roof? Have you started noticing damage to your roof? Instead of breaking out an army of pots and pans, you should prioritize getting your roof fixed or replaced -- roof damage is the gateway for other damage claims. Your roof protects your home and all of the belongings inside. If it is not functioning at peak ability, you run the risk of damaging your other property or causing structural damage to your home. You should absolutely contact your insurance company for damage, as long as the damage is more than the cost of your deductible. In order to determine this, consider working with a contractor who can advocate for you.